Specialist compensation claims lawyers, Simpson Millar LLP, recovered substantial compensation for holidaymakers who suffered gastric illnesses in 2012 whilst staying at hotels in Sharm El Sheikh, Egypt. Ill or injured in Egypt as a consequence of unacceptable hygiene? Did contaminated food or water cause illness amongst your party? Travellers’ diarrhoea is commonly caused by Cryptosporidium and Salmonella. Located in the Sinai Peninsula and sited along the Red Sea this popular Egyptian beach resort which is also known as the City of Peace is steeped in history and excitement. St Catherine's Monastery is where legend's claim is the site of the biblical burning bush and Mount Sinai where Moses is said to have received the Ten Commandments. Offering spectacular reefs and hidden ship wrecks populated by sharks, turtles and more than 200 species of fish Sharm El Sheikh is truly a divers' and snorkeler's paradise. On land there is the spectacular Ras Mohammed national park, but what can you do if the sights are marred by illness? Sun Sea Salmonella in Sharm El Sheikh – Food Poisoning? Simpson Millar’s holiday lawyers have been instructed by travellers struck down with profuse diarrhoea, stomach cramps, fever and headaches, following holidays at the Coral Sea Splash Resort in Sharm El Sheikh, Egypt. Holidaymakers are advised to contact their GP immediately upon returning to the UK as several guests have been diagnosed with cryptosporidium – a waterborne parasite. Sharm El Sheikh Illness Advice: The reason many people fall ill during holidays in Sharm El Sheikh is they ingest contaminated water which contains an abundance of bacteria resulting in infections causing diarrhoea – vomiting and sickness. Swimming pools in Egypt are a common source of the infection, Cryptosporidium. Similarly Typhoid Fever caused by the bacteria Salmonella Typhi is transmitted via the ingestion of water or food which has been polluted by faecal matter emitted by an infected person. The advice is to stick rigidly to bottled water and to avoid uncooked fruit and vegetables. Another shocking fact is that in Egypt the high temperature leads to the money in circulation being contaminated by human faeces – which is often exchanged for food and the food then consumed by the same hand. If you have suffered illness, i.e. salmonella, campylobacter etc. in Sharm El Sheikh, Egypt, and seek compensation for your illness, contact Simpson Millar’s holiday specialists immediately for a free holiday claims review. Our team of specialist claims lawyers handle hundreds of compensation claims against tour operators pursuant to the 1992 Package Travel Regulations and Sales of Goods and Services Act 1982. 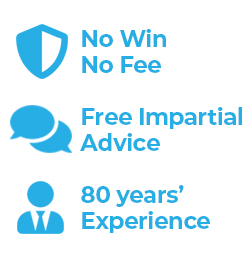 We are happy to offer you advice. Contact our travel team on 0808 145 1353 or complete the online claim form to see if we can take on your holiday complaint against Thomas Cook, First Choice, Thomson Holidays etc.